In this age of information, reputation marketing is the future of the marketing industry. Users no longer blindly use the services of a company – they simply open their browser and search for online reviews. It is evident that bad reviews can greatly damage the reputation of a company, even if they are not true. To avoid such situations, reputation marketing comes into play. This concept refers to shaping your online reputation by emphasizing your positive reviews and turning them into a marketing tool. 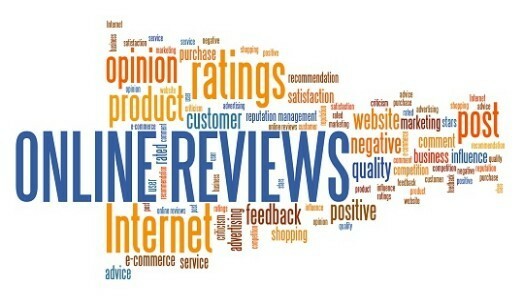 It is much more effective than reputation management, which is just a passive way of responding to already existing reviews, negative or positive, after they have already been posted online. Reputation marketing, on the other hand, suggests responding to bad reviews before they appear on online, as well as building and marketing positive reviews to the advantage of the company. According to Reputation marketing, on the other hand, suggests responding to bad reviews before they appear on online, as well as building and marketing positive reviews to the advantage of the company. According to Wikipedia, “reputation marketing has evolved from the marriage of the fields of reputation management and brand marketing.” Instead of trying to push negative reviews to the bottom of the search results, it suggests a new approach that consists of making the best of the positive feedback posted online by your customers. Having positive reviews on social media or your own web site can significantly increase your profit because they work as an extremely good marketing tool. People tend to trust online reviews almost as much as their friends’ recommendations and you should not miss this great opportunity. For this reason, it is essential to increase the number of positive reviews so that they would appear at the top of the results when users search for your product or brand. This means taking matters into your own hands by reacting to your customers’ feedback immediately, thus creating an excellent online reputation of your company. You can find many real-life examples that support this. For example, the economists at the University of California, Berkeley conducted a study which analyses the online ratings of Yelp in Economic Journal. It reveals that a restaurant’s business increases by 19% when its overall rating increases by only a half star. It shows that even a slight change on the online profile of your business can greatly shape the user’s perception of your company. In this situation, reputation marketing can have an immense effect on your profit. It is essential to try building a five-star reputation by making the best of your positive reviews, and we can help you take advantage of this opportunity.